Are you shopping for a wedding ring that your groom will love? Look no further than our benchmark titanium concave satin finish men’s wedding ring. This designer statement piece delivers a powerful statement about his good taste and sense of style. Alternative metals are at the cutting edge of men’s fashion, and titanium is leading the way. This durable metal will never lose its shine and offers superior resistance to scratching, denting, or discoloration over time. Marriage is certainly special, and your wedding day will be a day to remember forever. 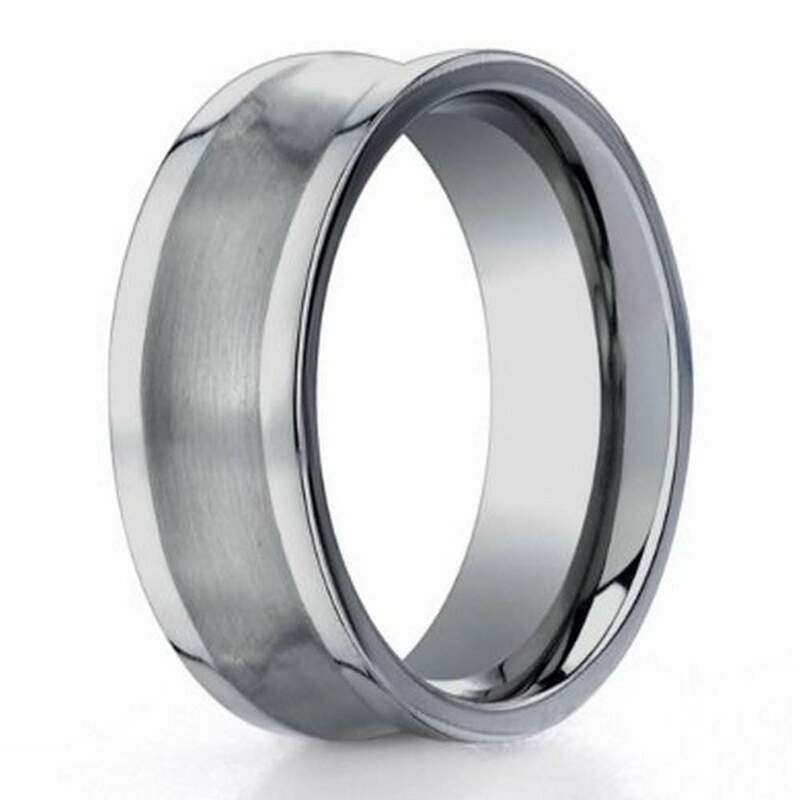 Celebrate your partnership in a special way with our 6mm benchmark titanium concave satin finish men’s wedding ring. Sizes vary from six to 14, all at one irresistible price. Add a special engraving to remember the day by! Our benchmark titanium concave satin finish men’s wedding ring is contemporary and polished, adding a sleek sense of sophistication to any ensemble. Customers can’t get enough of titanium, because it is extraordinarily lightweight and easy to wear. Each 6mm benchmark titanium concave satin finish men’s wedding ring features a comfort fit design, which tends to measure a half size smaller than traditional fit rings. We recommend that you have your finger sized for a comfort fit ring by a professional jeweler, so you can determine whether this style is right for you and the kind of work you do. If you have any questions or concerns, please don’t hesitate to contact us today. JustMensRings.com offers the ultimate shopping experience without all the pressure. The ring is exactly as shown. Just what we were looking for. Arrived quickly and fits perfect.